We will be closed on December 31st and January 1st. Follow us for updates. Same-day rush service available. Fast 7-business-day standard turnaround. Download your report from our website as soon as it's ready. Submit a scanned copy or a photograph of your documents electronically. Get a full refund if you request a cancellation within 24 hours after placing your order. Accepted by USCIS and all government agencies, colleges, universities, and organizations that recognize AICE. 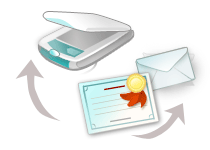 Get a second copy in a sealed envelope when you add mailing to your order. Submit both sides of the official original certificate or diploma, transcript/mark sheet (courses and grades) and a certified and notarized English translation (if any). If you do not have a certified translation, we will do it for you. Order the evaluation by filling out our online form. 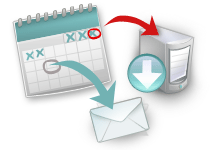 Upload the documents online or follow application instructions for submitting them by mail. 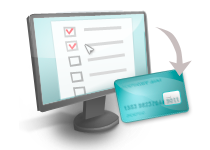 You can pay online with a credit or debit card or by mailing a check or money order. The evaluation will be available online or mailed in 1 to 7 business days depending if you add rush service. Postal delivery includes 2 copies of the evaluation including 1 copy in a sealed envelope. Education evaluation services are services for evaluating international academic credentials. Some academic institutions evaluate international credentials in-house. Others outsource the process to private agencies dedicated to the evaluation or foreign academic documents for academic purposes as well as licensure, immigration, and employment. The decision to outsource the process is a complicated one, as the school is relinquishing the control over a key aspect of the application review process. However, utilizing a service provider with extensive experience and resources can be an efficient solution and result in more accurate evaluation, especially if institution’s resources are limited. There is no governmental oversight for private credential evaluation agencies or a universal mandate to follow any established guidelines. Therefore, the selection of service provider must be done with care, ensuring a thorough understanding of that provider’s policies, requirements, and standards. There is no central governmental authority that monitors the credential evaluation industry or private evaluation agencies. However, there are two associations that maintain rigorous selection criteria, codes of conduct, and guidelines for operation, certifying to the operational ethics of member evaluation agencies. Scholaro is a member of one of them, AICE. Regardless if the evaluation process is internal or outsourced, the admitting institution assumes the risk of turning down an excellent student or admitting one who is inadequately prepared when credential evaluation is paid insufficient attention. Anyone involved in the process of credential evaluation needs access to resources. Resources on international comparative education systems are published and updated regularly by entities such as foreign ministries of education, organizations like NAFSA and AACRAO, and private credential evaluation firms, to name a few. Although many such resources are accessible for free online, it is prudent to designate funding to invest in commonly used resources, memberships, as well as for continued training and professional development. Education systems are dynamic. Therefore, credential evaluation training, resource review, and professional development of evaluation staff is an essential and ongoing process.